The Science Museum has appointed Grey London to launch an interactive gallery that will open this autumn. The agency won the account following a pitch process that kicked off in January and sparked controversy over the museum offering agencies £1,000 for the intellectual property of ideas submitted in the process. The first work by Grey will break in early summer. The new gallery will be 60 per cent larger than the Science Museum’s previous interactive gallery and will feature live event spaces, hands-on experiments and interactive exhibits. Grey has also been asked to reinvigorate the brand’s voice and drive footfall to the Science Museum. 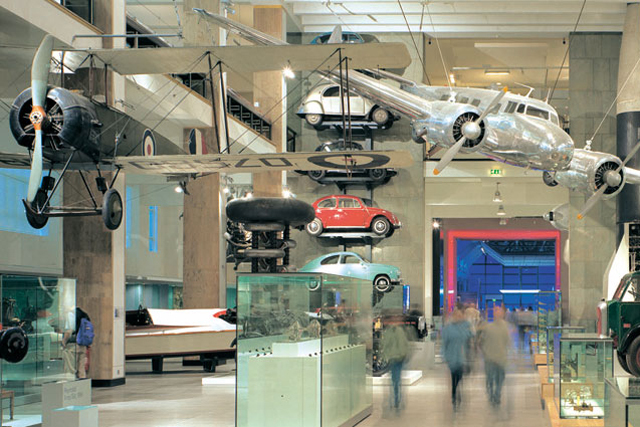 Last year the Science Museum appointed Isobel to create an ad campaign to attract more visitors. In 2011 Creature was picked to help promote the museum's space exhibition. Peter Dickinson, the museum`s head of communications and audience insight who ran the pitch, said: "Science has rarely had more cultural capital than it does right now. It has a fundamental part to play in every aspect of society’s development and this gallery will play an important role in inspiring the next generation of scientists and innovators. "Grey’s thinking reflects our cultural ambition and the innovation the gallery seeks to identify, celebrate and encourage." Should clients own rights to pitch ideas?